As mentioned in the Showtime television series Billions, NFL team owners are considered and held at a high standard similar to people in the United Kingdom who receive a knighthood from the British Royal Crown. That is to say that before one is able to own an NFL team, they must not just be rich enough to buy it, but also have a particular standing in society that is considered worthy of royal status. This is important to note because before any potential owner of an NFL team can complete an acquisition, he or she must be verified by the league which has a wide range of requirements that must be met. In terms of what it costs to own an NFL team today, prospective owners in this era must part away with hundreds of millions of dollars, if not billions, to become a member of this prestigious group of individuals. It is known that some billionaires see it as an expensive hobby and a way to display their wealth and status among themselves, which further makes it open to those with very deep pockets. 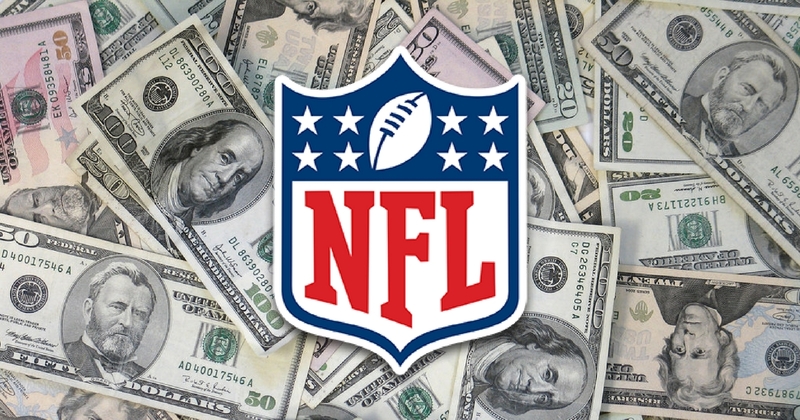 Here is a list of the wealthiest NFL team owners, their net worths and how they made their money. 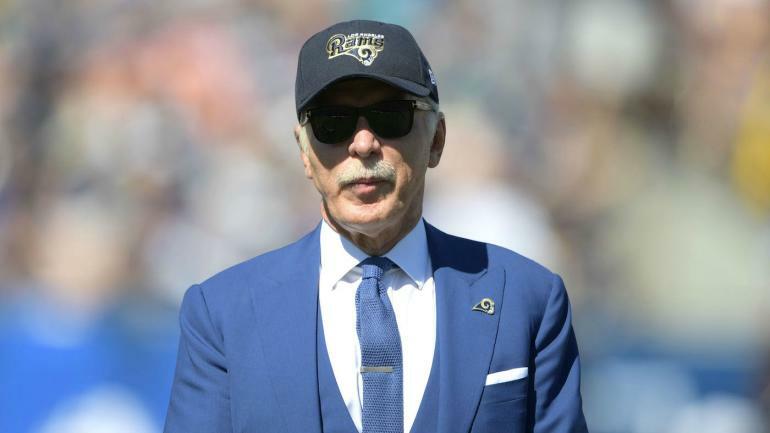 Stan Kroenke is the owner of the American sports and entertainment holding company, Kroenke Sports & Entertainment, which owns the Los Angeles Rams, among numerous other sports teams in and out of the United States. In 2018, Forbes estimated his net worth to be around US$8.5 billion. Kroenke’s journey to become a member of the prestigious group of NFL team owners began in the mid-90s, after he had made a huge fortune from the real estate market and joined forces with his wife, Ann Walton, a member of the Walton family that owns the multinational retail corporation, Walmart. He first bought a stake in the St. Louis Rams in 1995 before going ahead to completely take over the franchise in 2010. He has since gone ahead to become the owner of the Denver Nuggets of the National Basketball Association, the Colorado Avalanche of the National Hockey League, the Colorado Rapids of Major League Soccer, and Arsenal Football Club of the English Premier League, among others. Robert Kraft is the chairman and chief executive officer of the diversified holding company, Kraft Group, which owns the New England Patriots of the National Football League among other sports teams and businesses in the manufacturing and real estate industries. According to Forbes’ 2018 report, he has an estimated net worth of US$6.6 billion. Of all the names that appear on this NFL team owners list, Kraft is unarguably the most successful NFL team owner, as the New England Patriots have enjoyed unimaginable success under his stewardship. Since taking over the team in 1994, the Patriots have played in 11 Super Bowls, winning 6 of them. The team, which he bought for $172 million has since grown to be worth $3.7 billion. Stephen M. Ross, who according to Forbes, has an estimated net worth of US$ 7.6 billion, is the principal owner of the National Football League’s Miami Dolphins. In 2008, the University of Michigan accounting graduate, who went on to acquire a Juris Doctor, paid $550 million for a 50 percent stake in the Dolphins franchise. A year later, he bought another 45 percent stake for the same amount to become the owner of both the franchise and the stadium in which the team plays in. Before joining the elite list of NFL team owners, Ross worked in the real estate market. In 1972, he founded The Related Companies, which develops, buys, manages, finances, markets and sells properties across the United States and the world at large. The company is today valued at over $15 billion and it is said to have developed $30 billion worth of properties. Some of its most known projects are the Time Warner Center and Hudson Yards Redevelopment Project, both in Manhattan, New York. Jerry Jones is the owner of the Dallas Cowboys, which is according to Forbes, the most valuable sports team in the world. He bought the franchise in 1989 for a fee said to be in the region of $150 million. He went on to transform the poor performing team into a perennial playoff side, as they managed to win the Super Bowl on three different occasions in the early 90s (1992, 1993, 1995). The franchise’s value has since gone through the roof to an estimated worth of $5 billion, turning its owner to a billionaire in the process. Like a few others on this list, Jones has football in his blood. In 1964, he was the co-captain of the University of Arkansas team that won the national championship. After graduating, he went into business by opening a string of Shakey’s Pizza Parlor restaurants. He then went into the oil and gas exploration business, forming Jones Oil and Land Lease, where he enjoyed massive success before becoming a sports owner. Unlike any of the other NFL team owners, Shahid Khan, who owns the Jacksonville Jaguars, built his wealth from almost nothing, having come from a middle-class family in Pakistan. The businessman, whose net worth is reported to be US$6.9 billion, making him the richest person of Pakistani origin, is the first member of an ethnic minority group to own an NFL team and one of three owners to have been born outside of the United States. Khan moved to the US at the age of 16 to study Industrial Engineering at the University of Illinois, graduating with a BSc in 1971. He went on to work as an engineering director at the automotive manufacturing company, Flex-N-Gate, for a few years, before buying out the owner in 1980. By 2011, he had grown the company to have 48 manufacturing plants in the United States and several other countries, as well as revenue of $3 billion. It was around this time that he paid $760 million to buy the Jaguars. 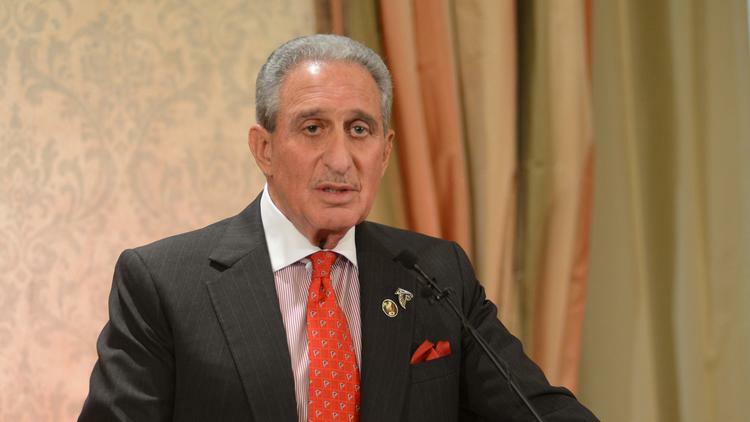 Arthur Blank purchased the Atlanta Falcons franchise in 2002 after spending 23 years at the helm of affairs at Home Depot, which he co-founded. Blank had worked for the Daylin Corporation, where he rose to the rank of vice president of the finance division before he was fired as a result of a power struggle. He and another fired employee went on to revolutionize the Do-It-Yourself home improvement industry by founding a one-stop store that contained everything under one roof. The company found huge success due to its warehouse approach to operations and went on to turn its owners into billionaires. Blank retired as co-chairman in 2001 and went straight into the sports business. He took charge of the Falcons a year later and attempted to also buy the Atlanta Braves of the Major League Baseball a few years later, however, that deal fell through. He then went on to found a Major League Soccer expansion franchise, Atlanta United FC, while still pursuing other endeavors. Terrence Pegula is the owner of the sports and entertainment holding company, Pegula Sports and Entertainment, which has full ownership of the NFL team, the Buffalo Bills, among other sports teams. Having gained full control of the franchise in 2014, following the death of the team’s founding owner, Ralph Wilson, Pegula is one of the most recent NFL team owners to appear on this list. Prior to him delving into sports team ownership, Pegula, who earned a Bachelor of Science degree in petroleum and natural gas engineering from Penn State University, worked for a number of oil marketing companies before founding his own natural gas drilling and exploration company, East Resources, which made huge profits after the discovery of deep layers of natural gas in the Marcellus Formation in eastern North America. Steve Bisciotti is the majority owner of the Baltimore Ravens. This business executive who is known for keeping a very low profile before his involvement in the sports business first bought a 49% stake in the team in the year 2000, before going ahead to purchase the remaining 51% in 2004. Under his stewardship, the Ravens launched a brand new state-of-the-art training and practice facility, that was nicknamed “The Castle,” before going ahead to win Super Bowl XLVII in 2013. Unlike any of the other NFL team owners, Bisciotti did not make a fortune from the real estate or oil market. He did so by co-founding a staffing company that provided workers specifically for the aerospace and technology industry. The company, which was named Aerotek, soon transformed to what is today known as Allegis Group, an international talent, and management firm.